Bill Joplin returned to his hometown, McKinney, Texas, with his wife and young family in 1978. Just thirty miles north of Dallas, this rural community of 15,000 residents was a traditional small town that valued folks who could be counted on. Bill shared the community’s value of dependability and competence. Bill Joplin’s Air Conditioning and Heating took wings with the support and encouragement of friends and four generations of family. Today, we are one of McKinney’s largest and most successful businesses in a community that has grown to over 90,000 residents. 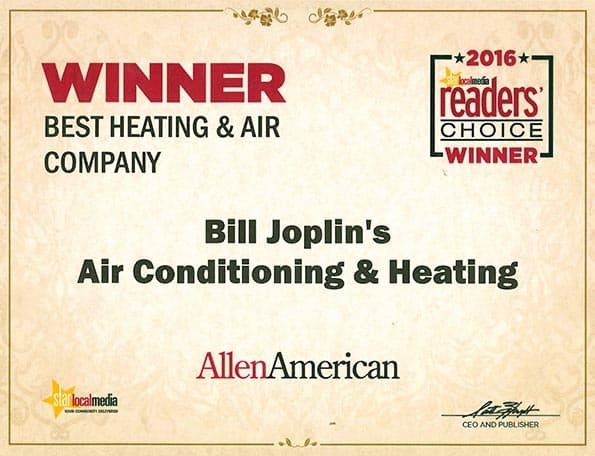 From a single employee, Bill Joplin’s Air Conditioning and Heating has grown to about one hundred dedicated HVAC professionals, and each employee strives for customer satisfaction each and every day. 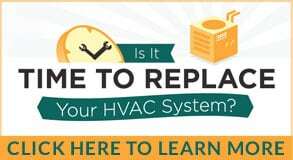 Bill attributes his prosperity as an HVAC contractor to the community he serves. As a way of showing appreciation, he chooses to share, support and encourage the people of Collin County, Texas with community grants to deserving organizations and individuals. Since 2004, Bill Joplin’s People Serving People Grants have awarded $25,000 annually to one or more organizations whose purpose is to positively impact Collin County communities. Grant recipients are announced on Thanksgiving Day to celebrate the spirit of the holiday. Groups and individuals who provide services for education, health, shelter, food or other community needs are considered for this grant. The People Serving People Grant is set up to benefit many in our community by providing for a specific need for a specific institution annually. Contact us for details about how you can apply. ManeGait Therapeutic Horsemanship is the recipient of Bill Joplin’s Air Conditioning & Heating People Serving People $ 25,000 annual grant. “People Serving People” grant awarded by Bill Joplin’s Air Conditioning & Heating McKinney, Texas – December 1, 2005: Willow Wood Ranch, Inc., was the proud recipient of a grant from Bill Joplin’s Air Conditioning & Heating of McKinney. This grant was awarded as part of Joplin’s “People Serving People” annual contribution to the community. Charlette Vitz, Director of Community Services for Bill Joplin’s Air Conditioning & Heating, presented a check in the amount of $10,000 to Tara Malphrus, WALK ON Executive Director. The grant was awarded to fund a new therapy room and office at the WALK ON facility in Celina, Texas. “WALK ON is proud to receive such a wonderful donation, especially at this time of year,” said Malphrus. She added that the therapeutic riding program has difficulty operating during the winter months due to inclement weather conditions. “This grant will allow us to build an indoor therapy room which will include an ‘Equicizer’, which is a mechanical horse used for therapy”, she said. The ‘Equicizer’ was developed by Frank Lovato, a retired jockey who designed the mechanical horse for his personal rehabilitation after an injury. The stationary “wooden horse” is built so that the rider must exert physical movement in order to experience motion similar to a real horse. The Equicizer has gained popularity at therapeutic riding centers nationwide and was recently featured at the North American Riding for the Handicapped Association (NARHA) annual conference in Houston. Since 1978, Bill Joplin’s Air Conditioning & Heating has served the people of McKinney and the surrounding communities. In 2004, the company created the “P community they serve. Founded in 2003, Willow Wood Ranch, Inc. is a 501(c)(3) non-profit corporation located in Celina, Texas. Through their “WALK ON” Therapeutic Riding Center, their mission is to reach out to children and young adults with disabilities in order to facilitate a positive change in their lives using proven therapeutic riding methods.